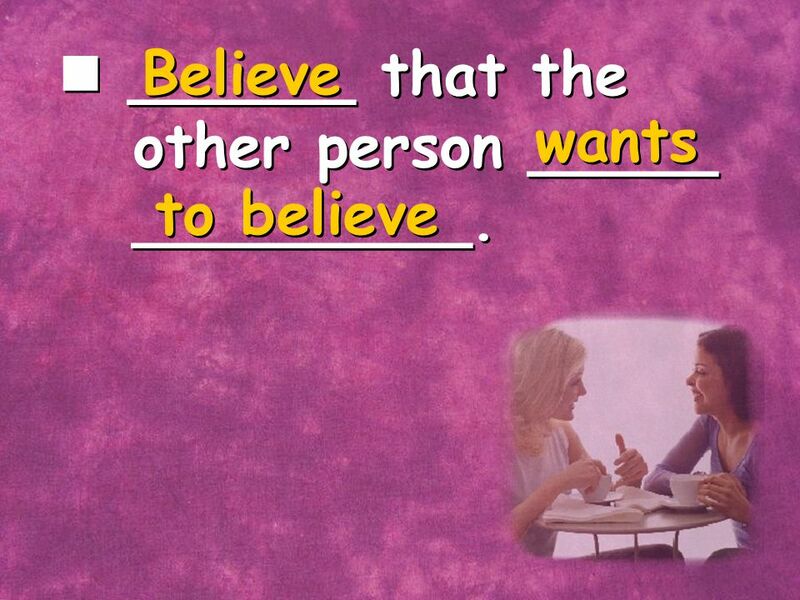 10  ______ that the other person _____ _________. 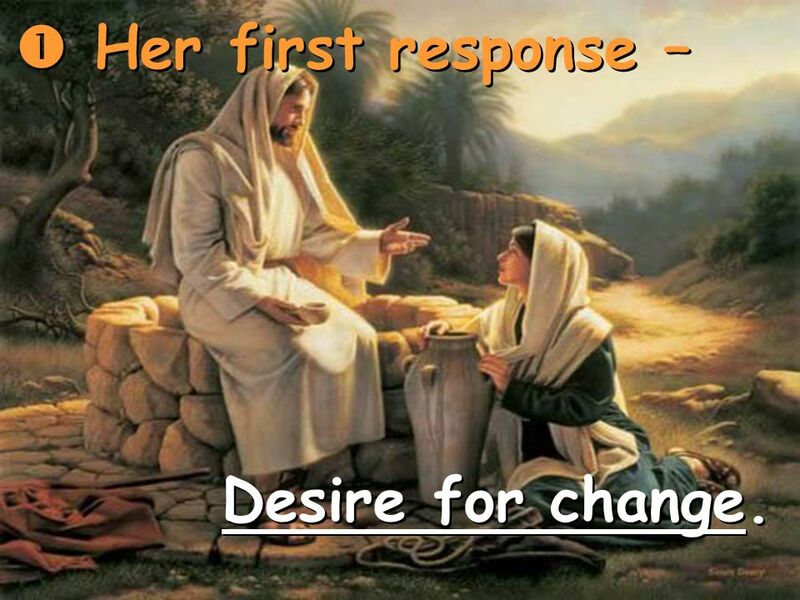 23  Her first response – Desire for change. 28  Jesus addresses _________. 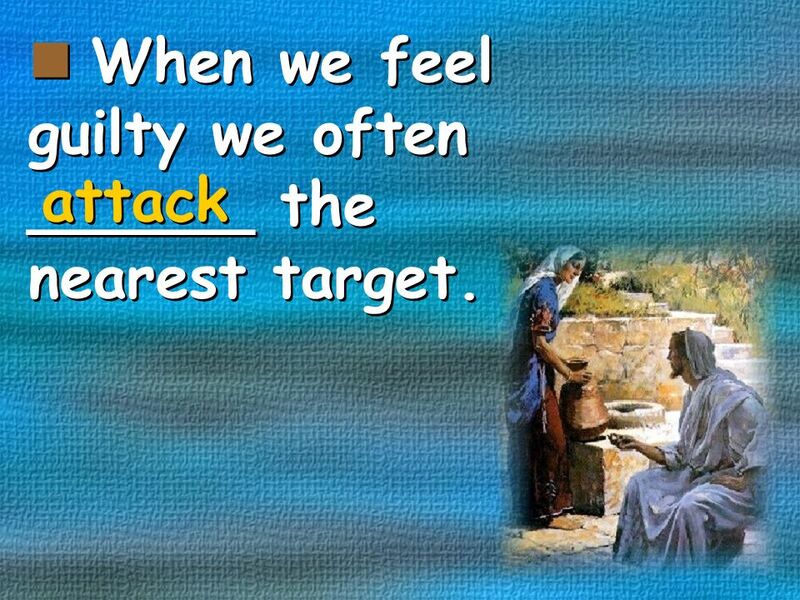 30  When we feel guilty we often ______ the nearest target. 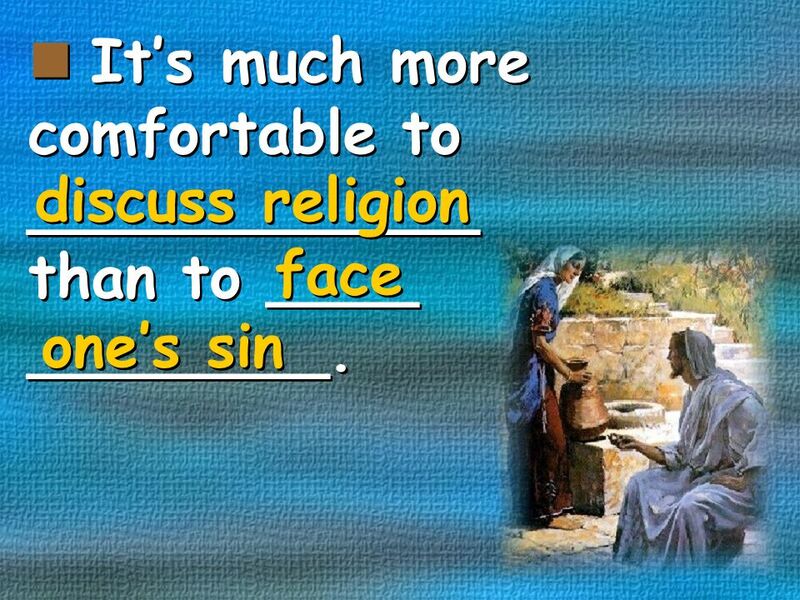 31  It’s much more comfortable to ____________ than to ____ ________. 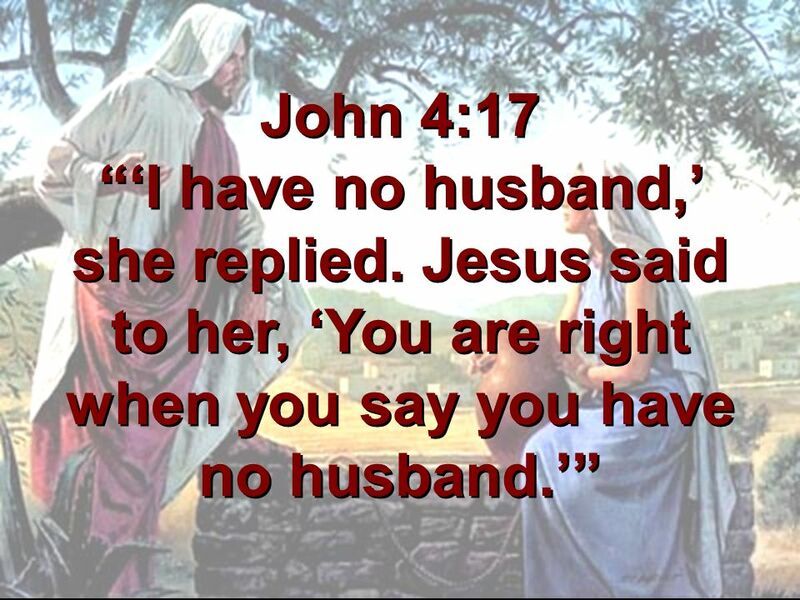 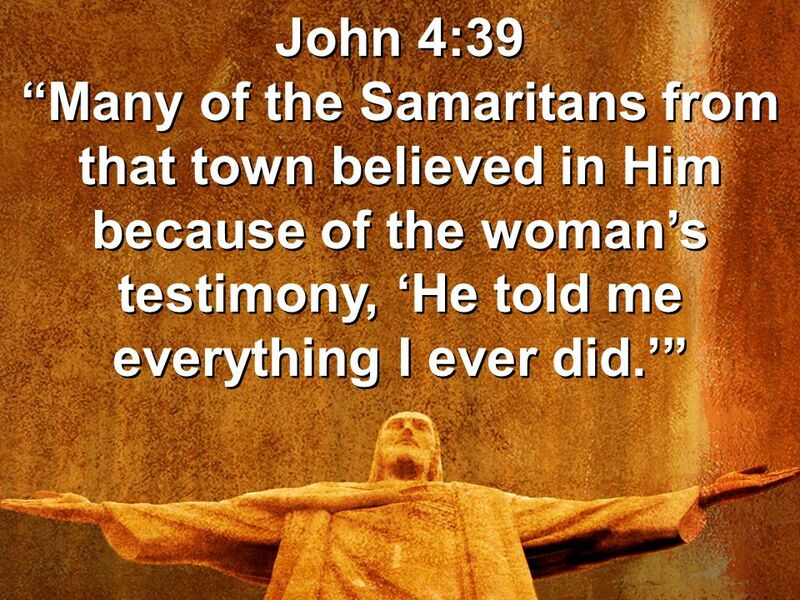 35  Jesus refused to _____. 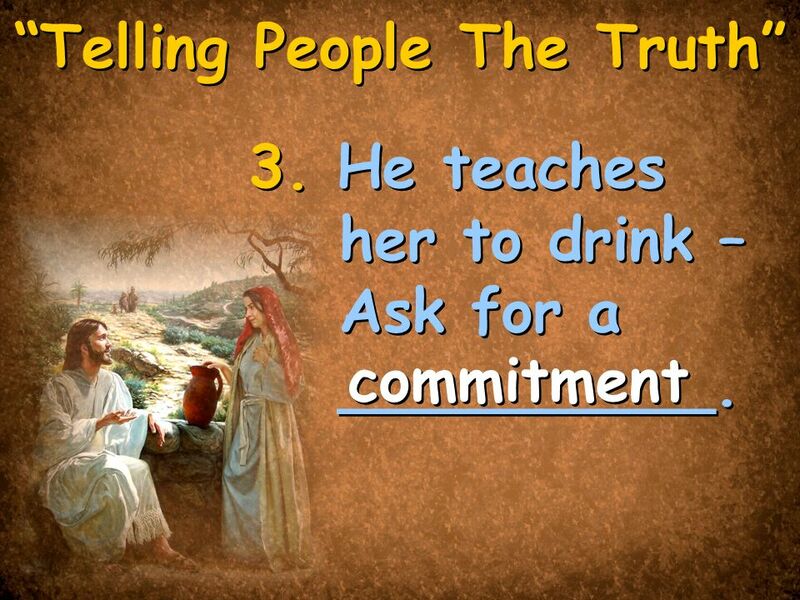 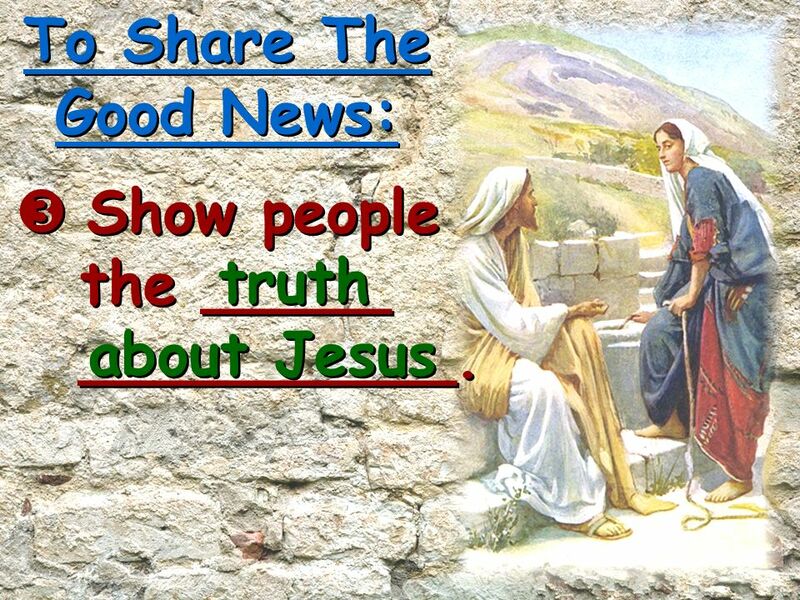 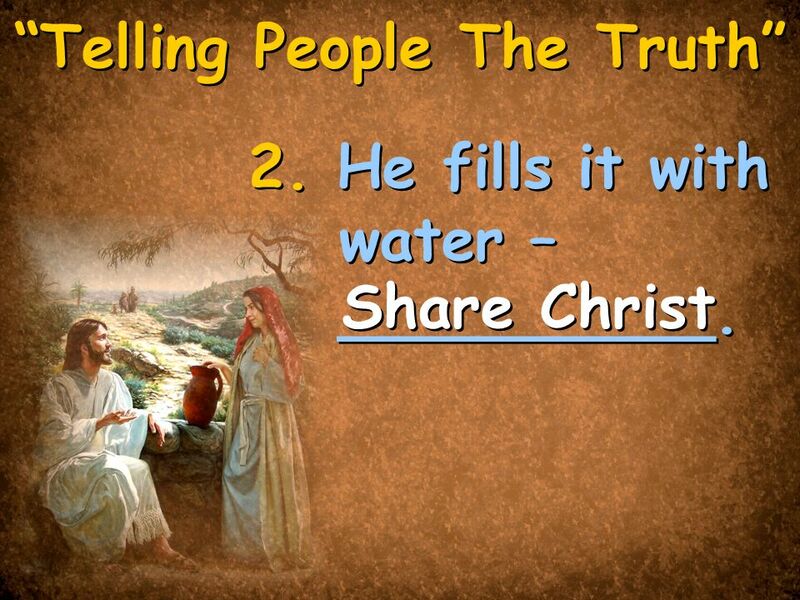 Download ppt "Telling The Truth." 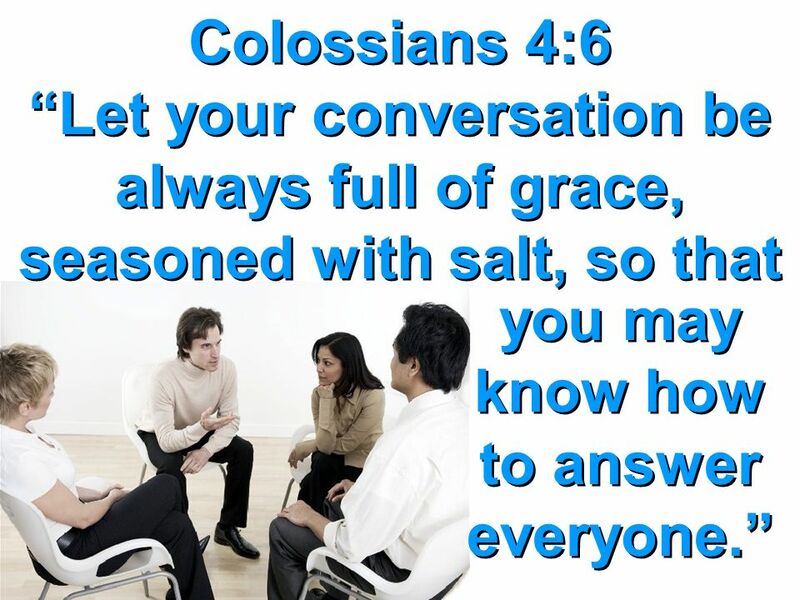 CONTROL Placater Blamer DistracterRationalizer. 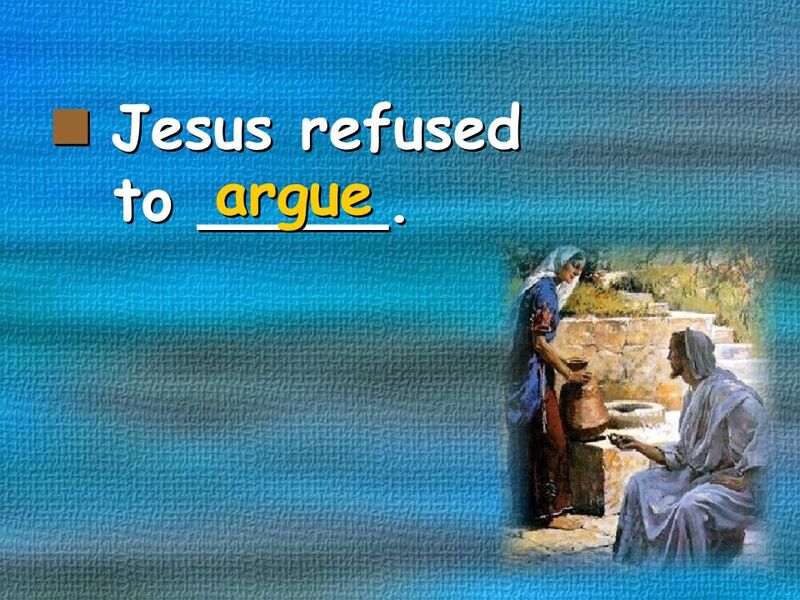 ThoughtThought EmotionsEmotions Relationships Non-Relational CONTROL Placater Blamer DistracterRationalizer. 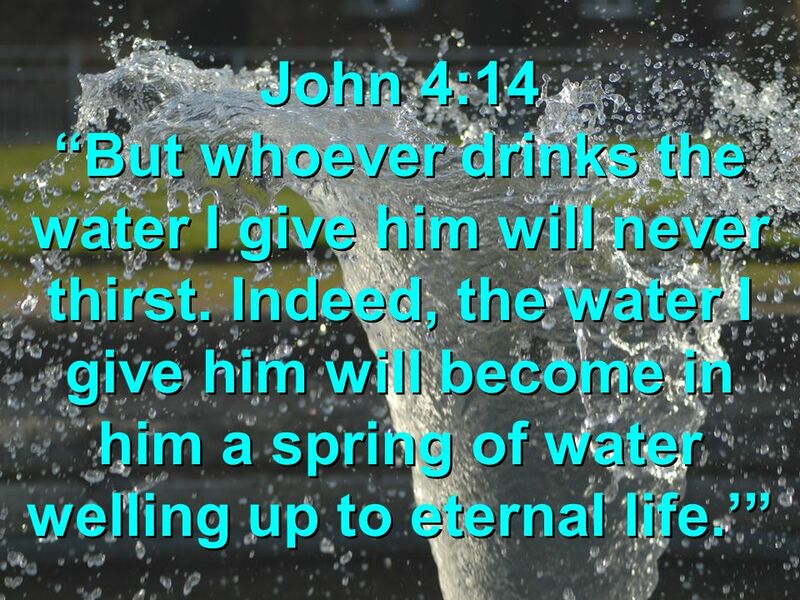 John 4:1-26 The Pharisees heard that Jesus was gaining and baptizing more disciples than John, 2 although in fact it was not Jesus who baptized, but his. 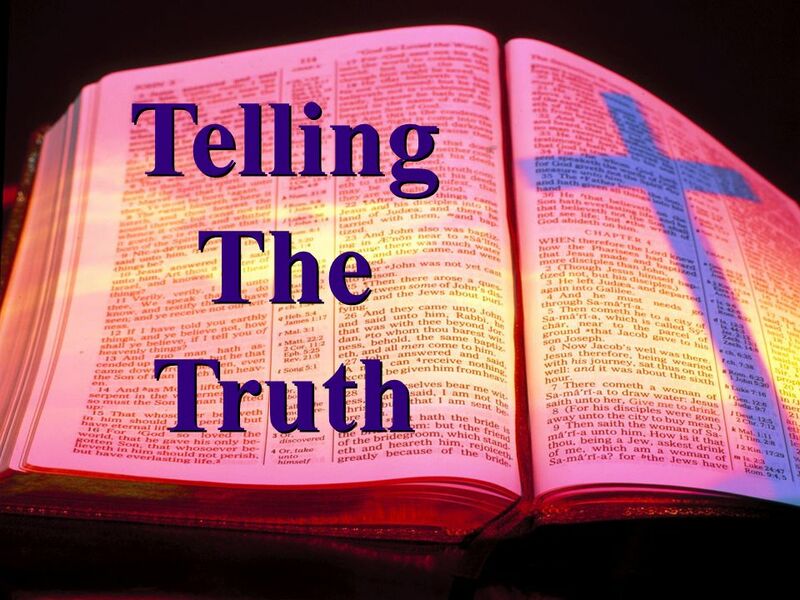 The Listening Waterfall Peter Fitch, St. Croix Vineyard Sunday, September 14, 2014. 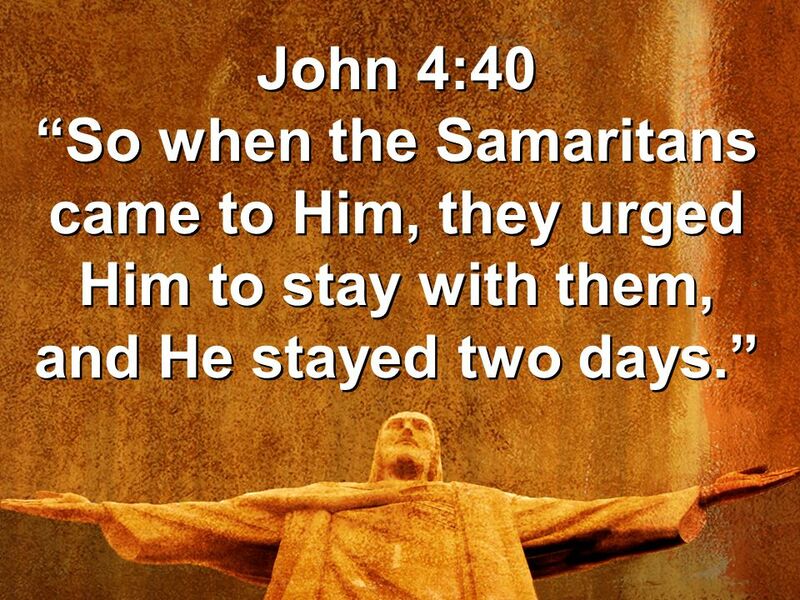 Disreputable Friends Finding Faith in the Pick up Place Fort McMurray Alliance Church September 2, 10:30 am. 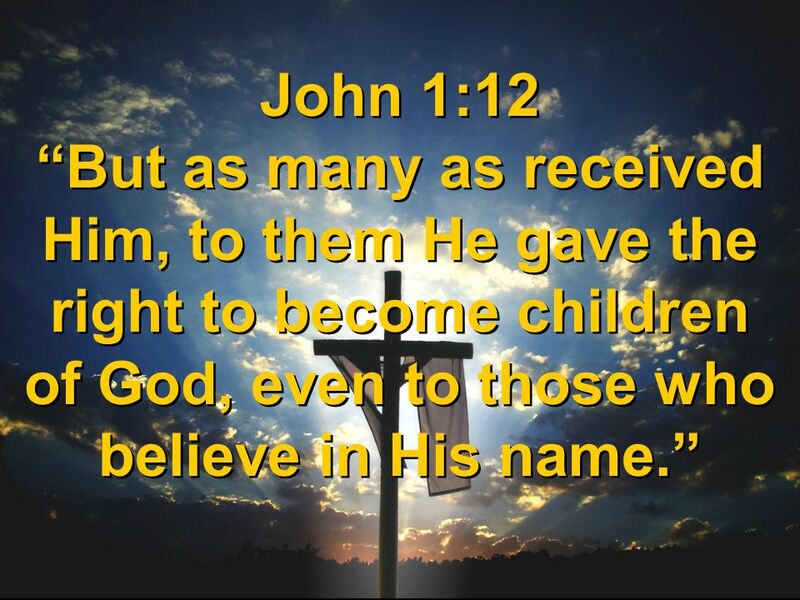 The Love of God through John. 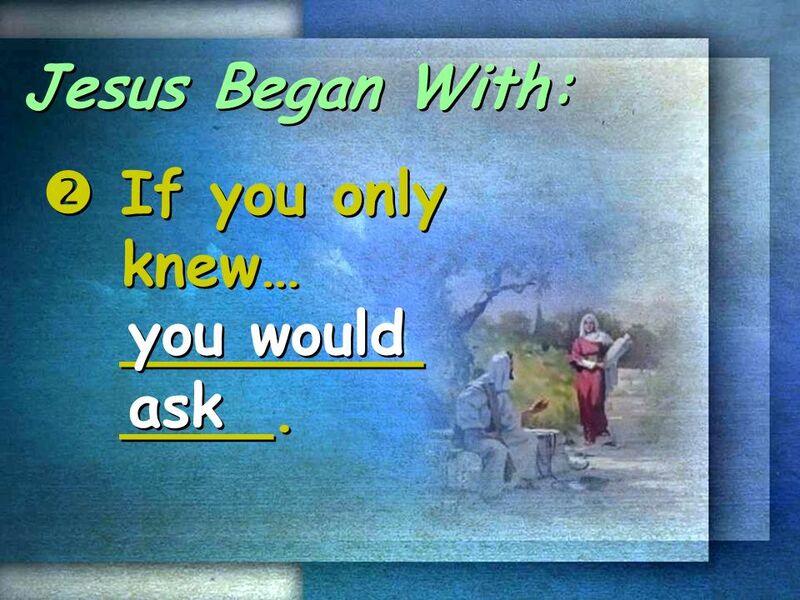 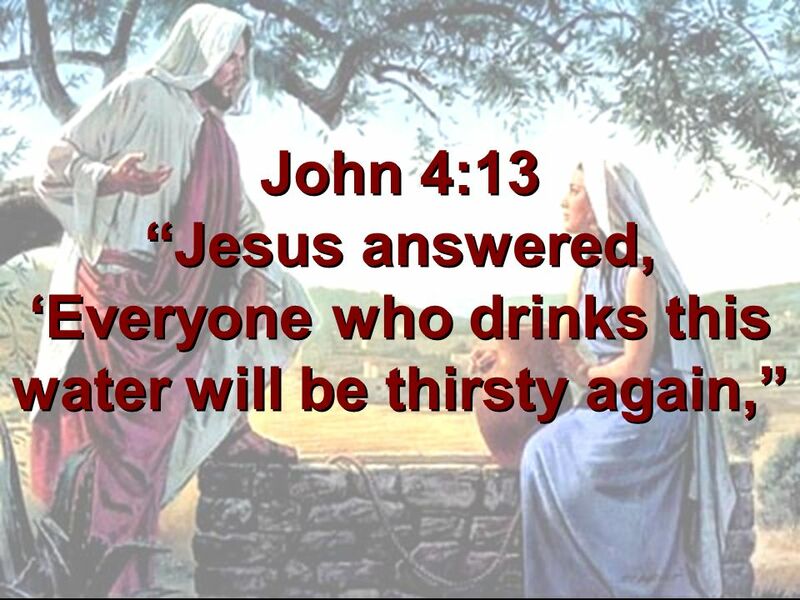 Something to get you thinking: Jhn 4:46Jhn 4:46 So Jesus came again to Cana of Galilee where He had made the water wine. 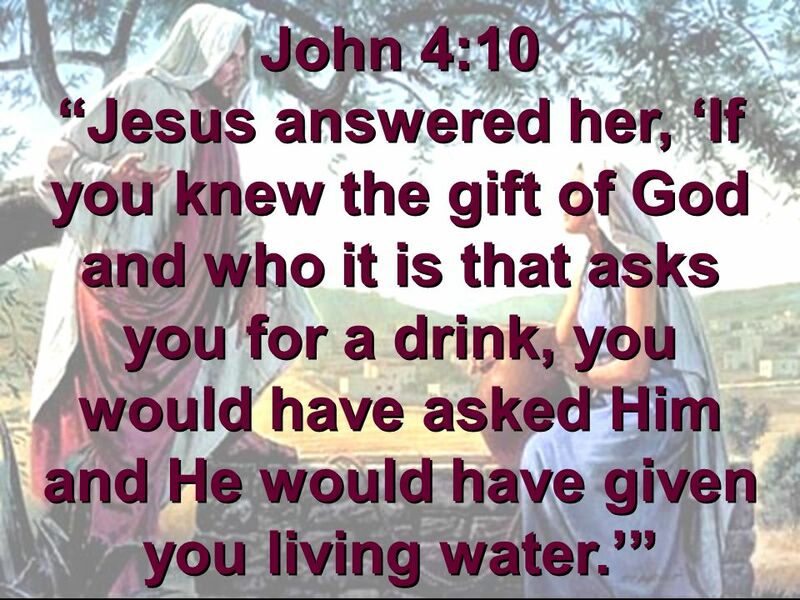 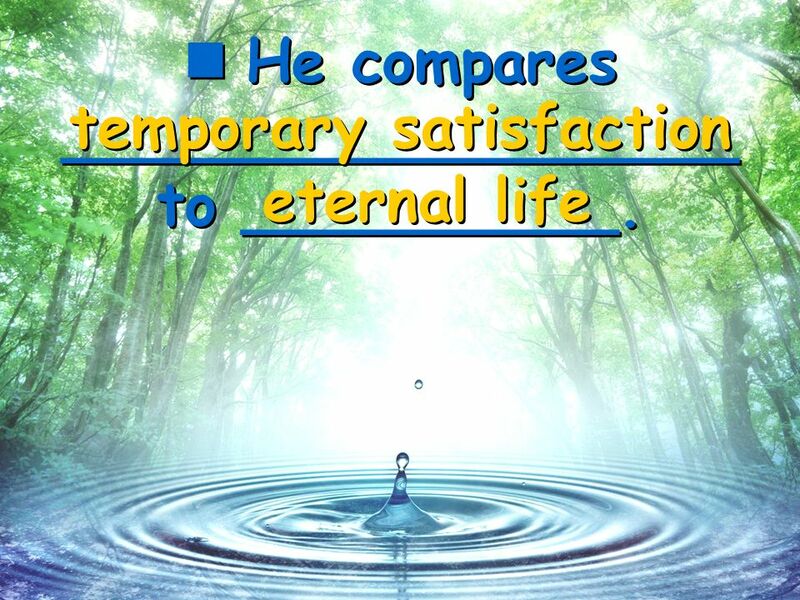 Jesus gives us living water Today’s Bible Verse Jesus answered, "Everyone who drinks this water will be thirsty again, but whoever drinks the water I.
John 4:7-14; A woman of Samaria came to draw water. 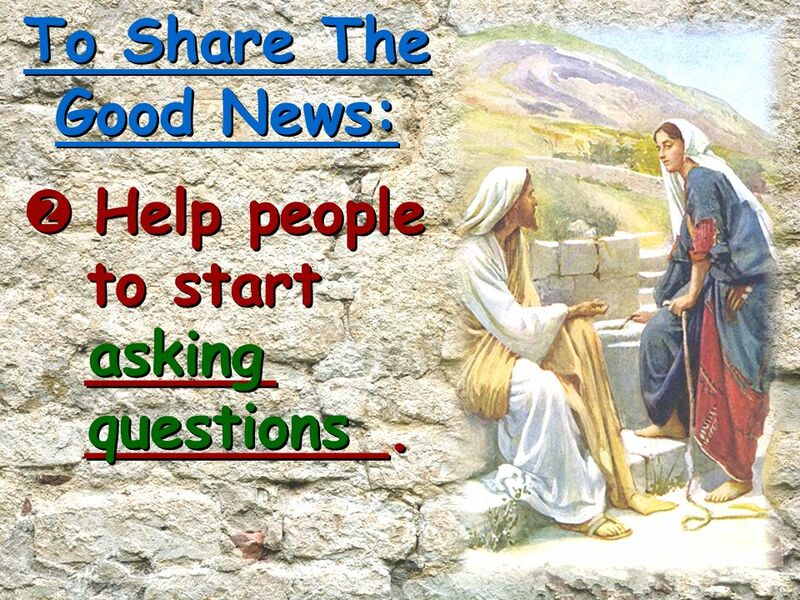 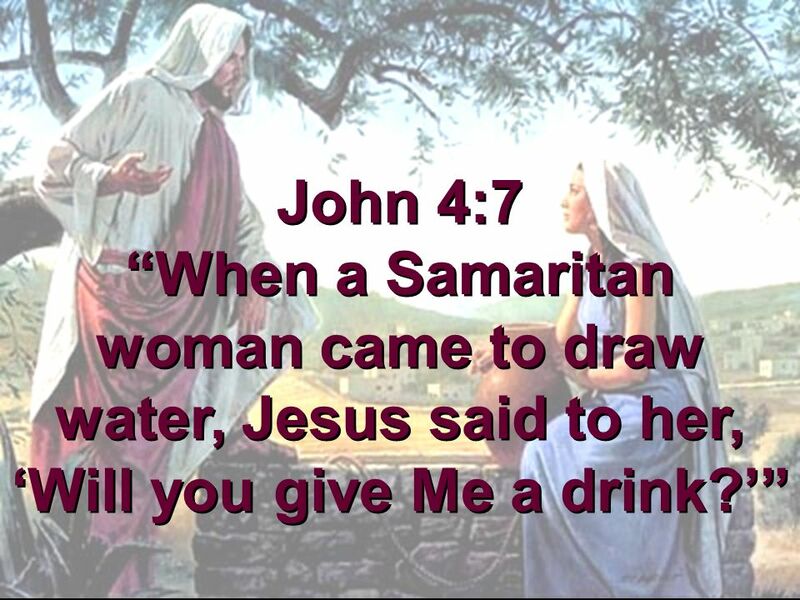 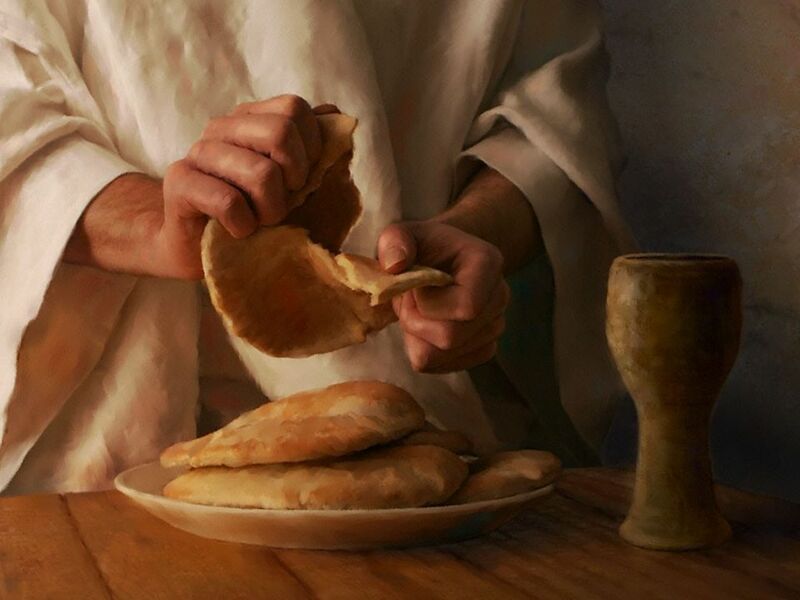 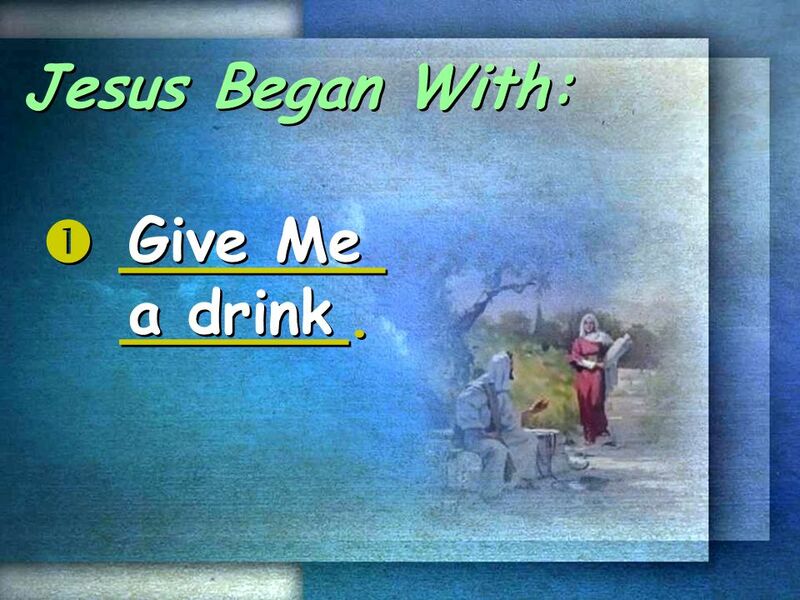 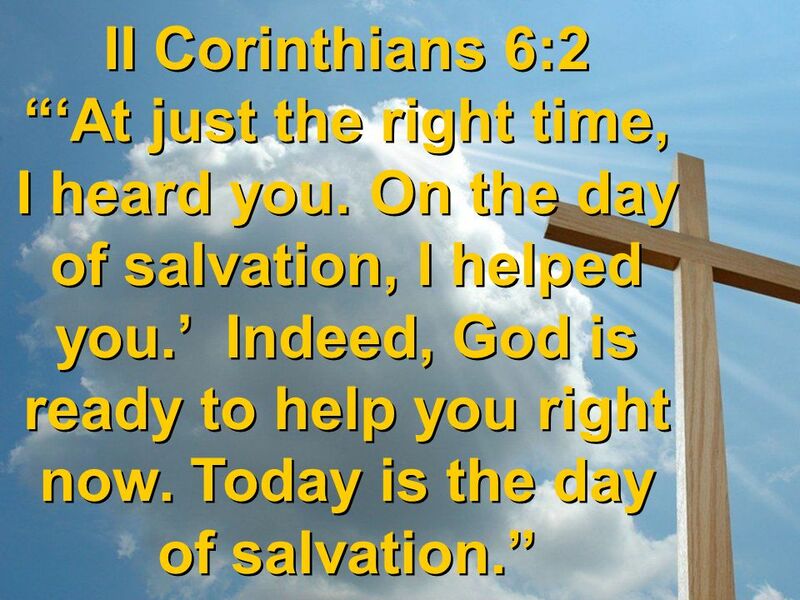 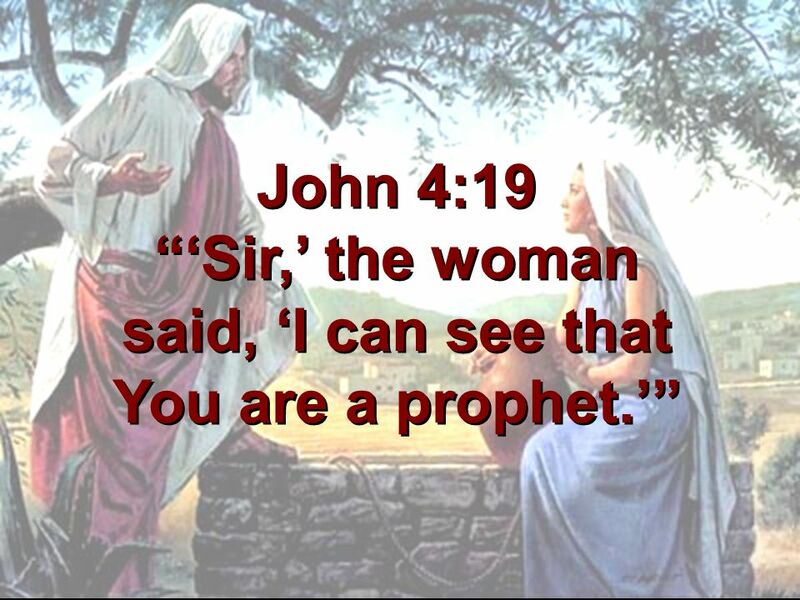 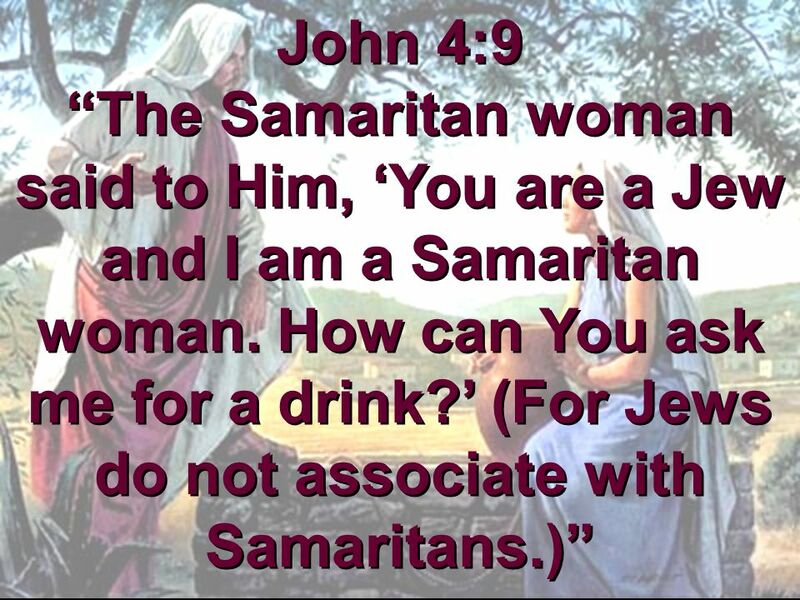 Jesus said to her, “Give Me a drink.” 8 For His disciples had gone away into the city to. 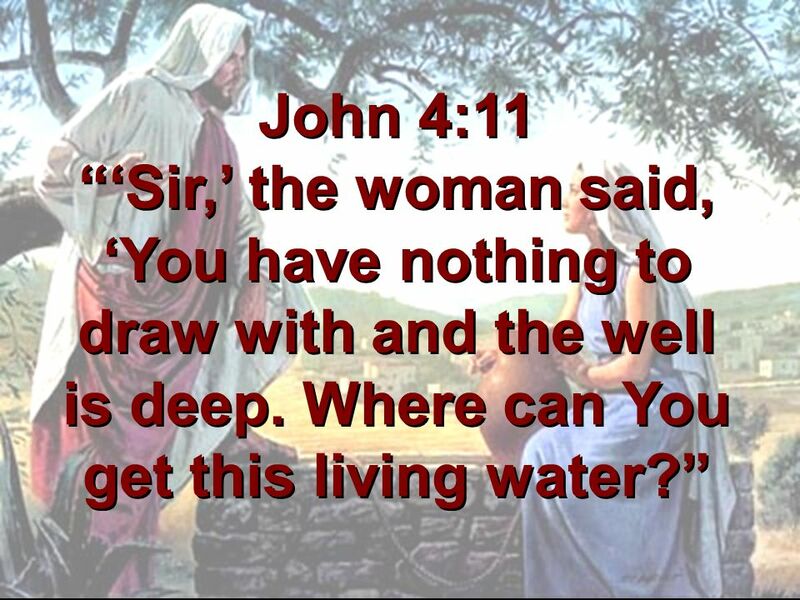 The Woman at the Well John 4 3: He departed to Galilee. 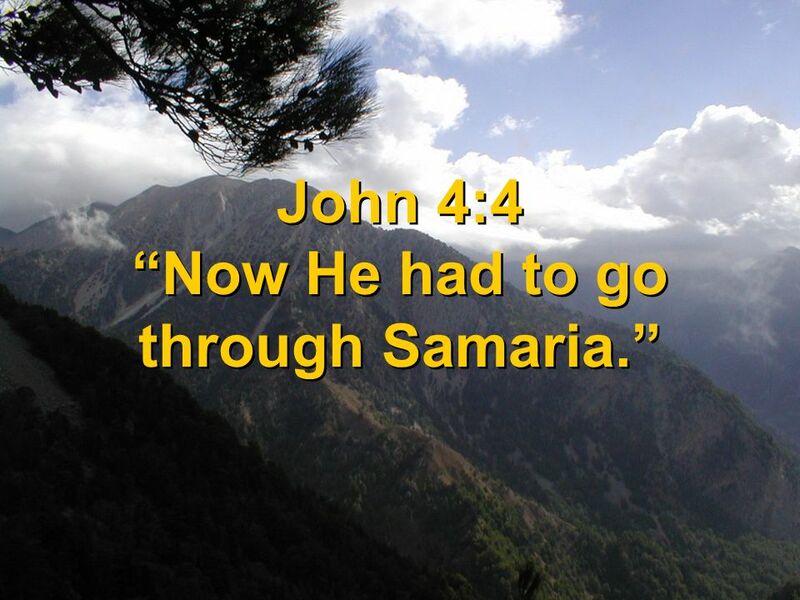 4: And he must needs go through Samaria. 5: Then cometh he to a city of Samaria, 6: Now Jacob's. 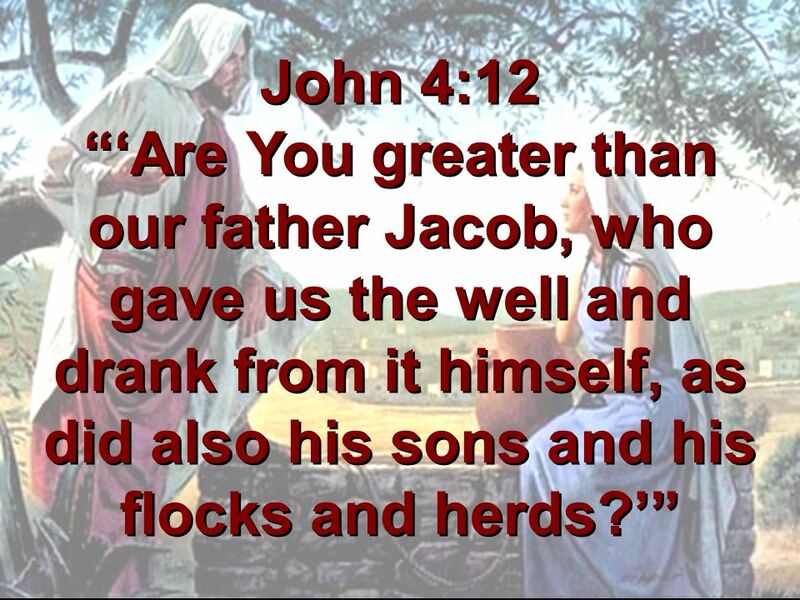 Jacob Jacob’s parents courtship at a well (Gen 24) Jacob kissed Rachel at a well (Gen 29:11) Jacob purchased land at Shechem, and later the bones of Joseph. 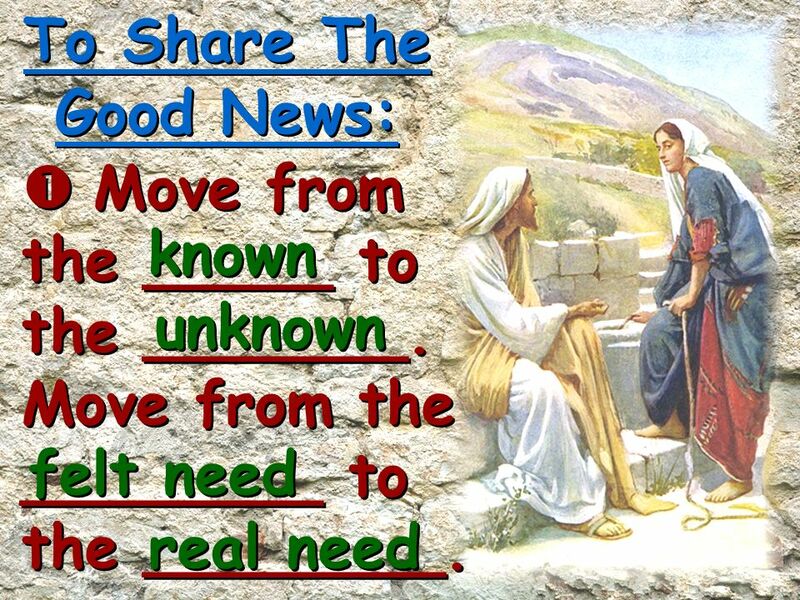 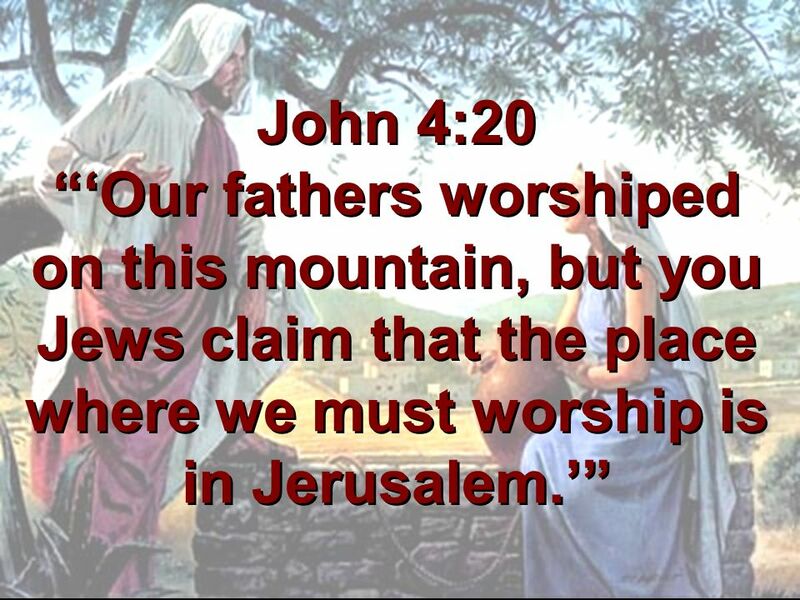 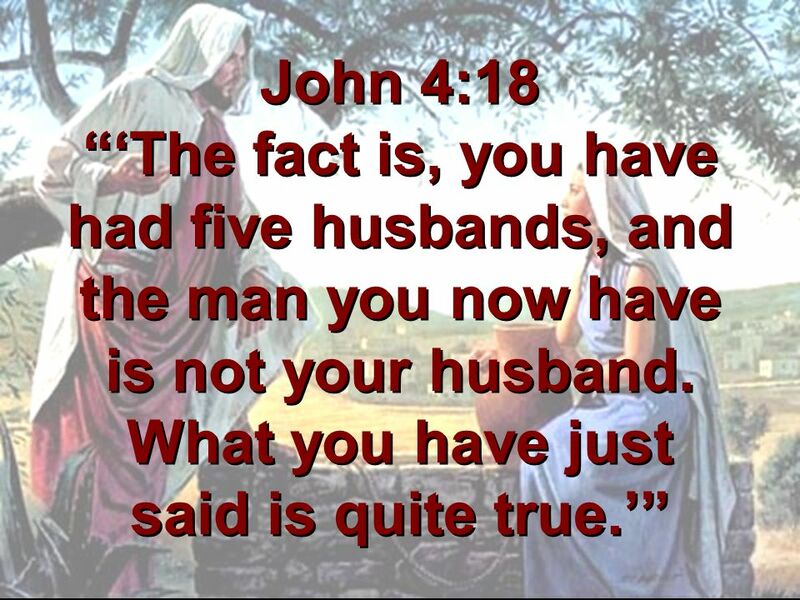 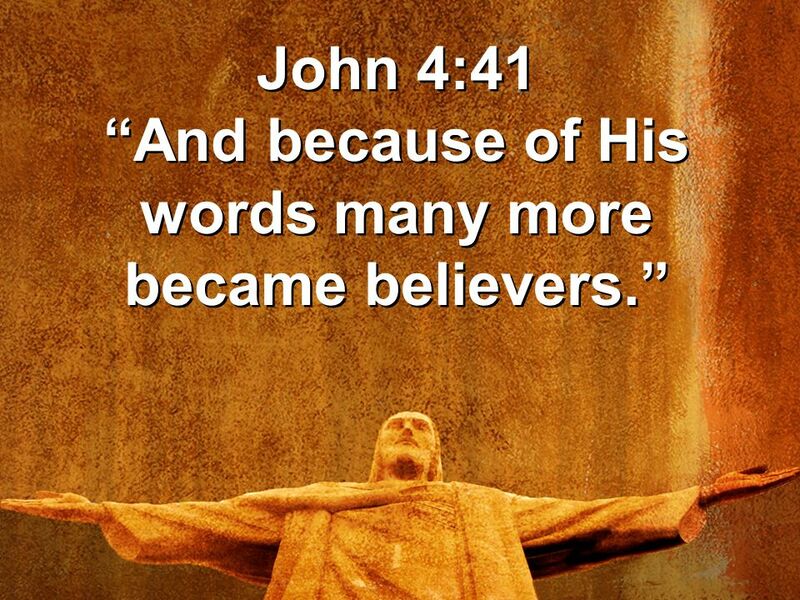 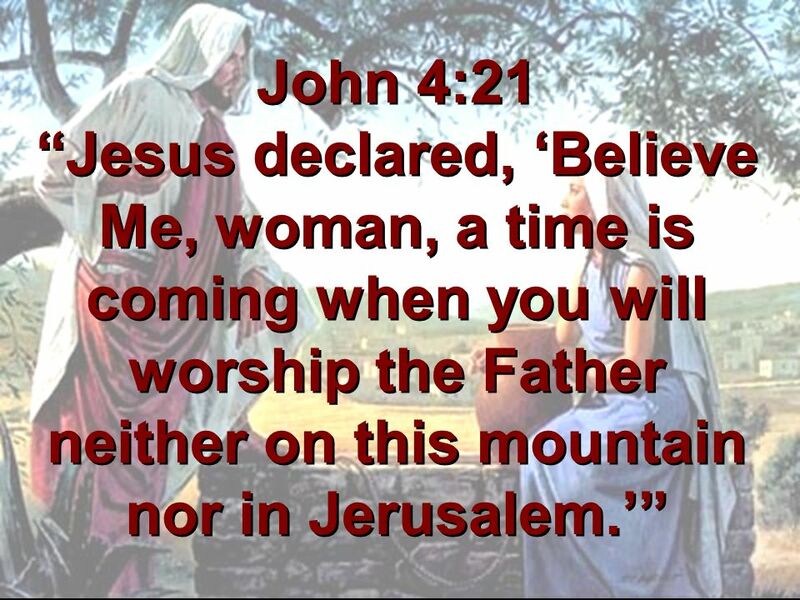 The Gospel of John 4v1-42 ABC… All the Bible in its Context Why have faith in Jesus ? 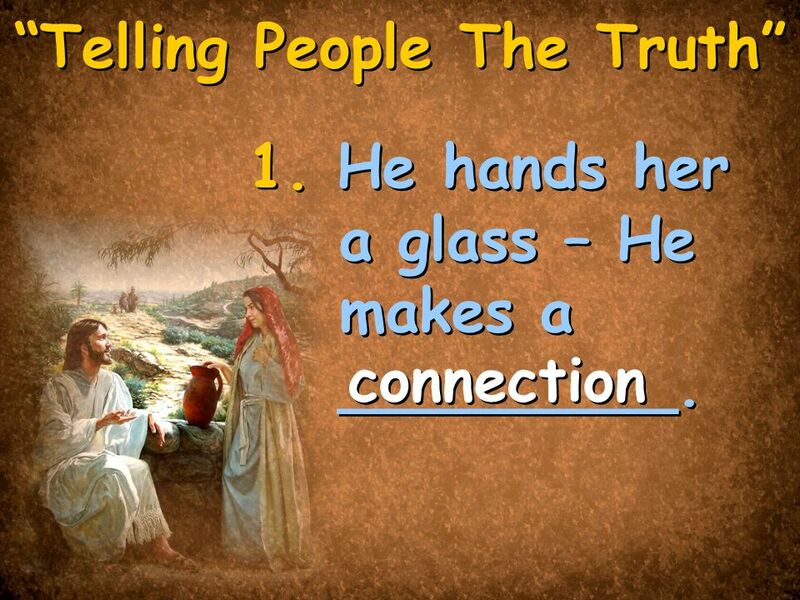 Trading Up The Barter King. 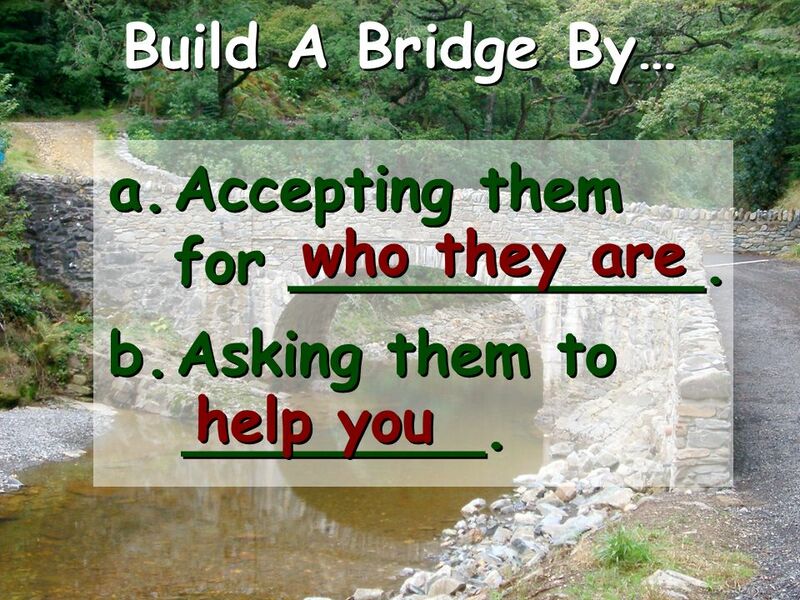 Bartering is essentially the exchange/trade of ownership from one thing to another. 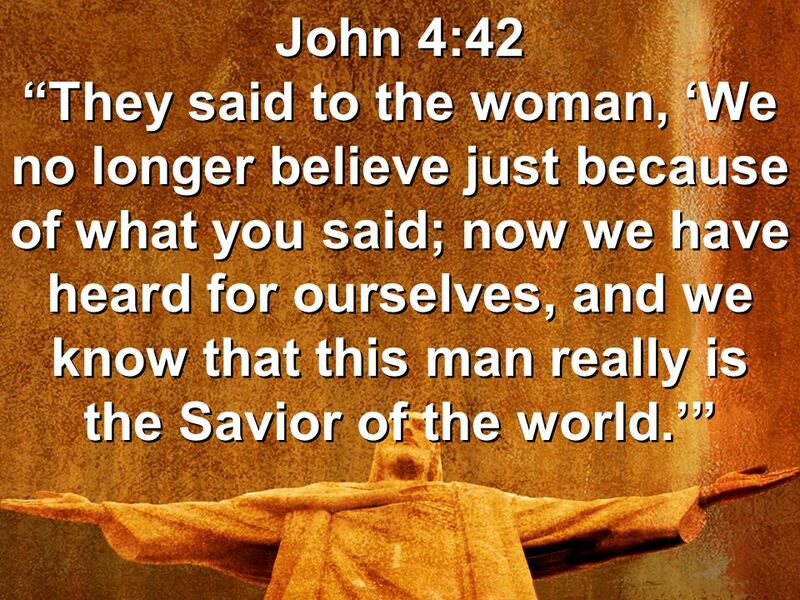 Spirit and Truth John 4: 7-26. 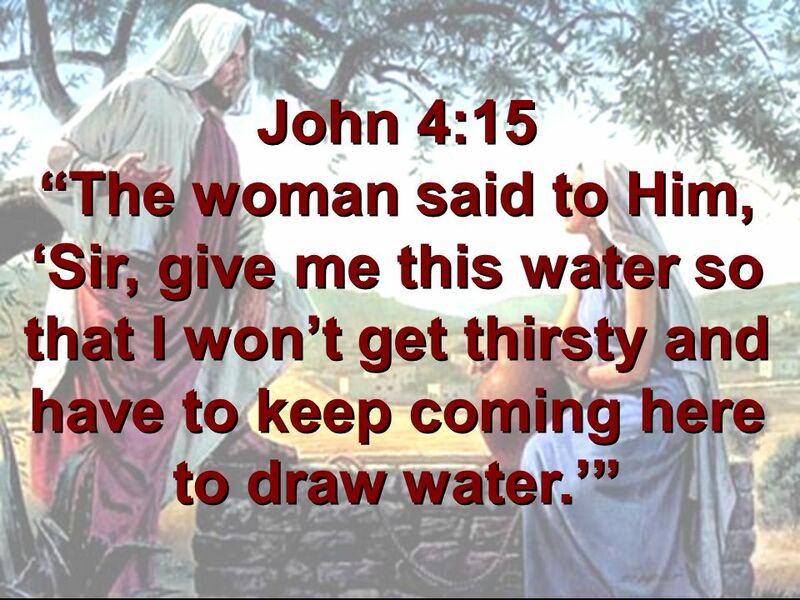 THIRSTY SOULS DRINKING THE WATER IT’S ALL FREE.